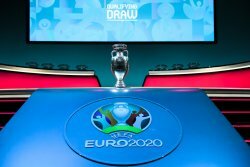 After the nail biting performance of the national teams during the international tournament earlier this year, the run up to release of the Euro 2020 schedules were greatly anticipated by fans worldwide. Therefore as earlier this week the fixtures and groupings for the UEFA European Championships Qualifiers 2020 were announced, we thought we would put this article together for our readers. This blog therefore covers how the groups have been drawn and who are expected to be the ones to beat. At the moment the national teams are currently battling it out on the football pitch to win the new Nations League trophy. And with the extra bonus of four places in the Euro tournament in two years’ time up for grabs, the anticipation to succeed in Nations League is high. As this is a very new tournament we wanted to put this post together to cover all of the need to know information about the ongoing games. From how the season is scheduled to who are the strongest teams so far, read below to find out all the latest info. What is the Nation’s League? With the World Cup in Russia just around the corner, England are preparing for success. After the launch of their home and away strip and now the line up of players, the team is well on their way to becoming all set for the tournament. Recently announced by Gareth Southgate, the official World Cup squad list has now been released. However, Southgate is still undecided on who is to Captain the team to victory. Previously Kane, Dier and Henderson have all been picked for the spot, so who will it be? We will just have to wait to find out. Gareth Southgate announced his England squad this week ahead of the international friendlies against the Netherlands and Italy, and there were a few surprise names called up - one being Manchester United’s Ashley Young. If you have watched him regularly throughout the season, then it’s not that much of a surprise, but to the outside viewer, they might well be asking why the England manager has recalled someone who last played for the Three Lions in 2013. With the World Cup just around the corner, there is a lot of excitement and hype bubbling on the surface of fans. It is not in full swing yet, given we are in November, but it is noticeable. Like with any tournament England are enrolled in, there are expectations of the Three Lions to perform, and each time they seem to fail worse than the previous. The England fans are certainly at ends with England's senior team, especially under Roy Hodgson when England crashed out of the European Championships to Iceland, but Gareth Southgate might well start to change the reputation - slowly, but surely. 1st February 2017. By Danni Biggs. Arsenal and England legend, Kelly Smith confirms her retirement from football at the age of 38. With 117 games, 48 goals for her national team Smith said with no regrets "I've travelled the world and, at the age of 38, the body is telling me it needs to stop." Kelly, 38, was awarded an MBE for her services in football in 2008, also winning numerous accolades and individual honours throughout her career including the FA Women's Players' Player of the year in 2006 and 2007. "Kelly Smith is the best women's player England has ever produced, and one of the foremost players in the history of the women's game," said Johnathan Pearce on BBC Match of the Day. 'The game is in a magnificent place at the moment and it's good to step away at the right time.' Smith said. 20th June 2016. By Edward Stratmann. Heading into England's monumental contest with Wales, much of the talk centred around whether the Three Lions could stop Gareth Bale. Having scored or assisted 10 of the 13 goals scored by the Welsh in qualifying, England definitely needed to pay close attention to the Real Madrid star if they were to give themselves the best chance of winning. Keeping the most expensive player in history quiet is, however, something that's obviously easier said than done. Thankfully for England, though, courtesy in large part to their one and only holding midfielder, Eric Dier, they did a fantastic job of limiting Bale's impact.